Nothing looks more beautiful than long thick strands of hair that shimmers with natural health. But, hair loss is a common and serious problem that many people find difficulty dealing with. Sudden or excessive hair loss is a nightmare that may be extremely frightening and worrying. Many factors can contribute to this hair loss including environmental effects, too much stress, ageing, nutritional deficiencies, genetic factor, some medical conditions, smoking, scalp infections, wrongful use of chemically composed hair products, and hormonal imbalances among several more. Conditions like autoimmune diseases, thyroid disorder, chronic diseases, iron-deficiency anaemia, and polycystic syndrome can further accelerate the loss. Massaging the scalp and hair regularly for a few minutes with lukewarm water promotes the blood flow. Herein, coconut oil proves to be the best product that helps in controlling hair fall. However, other options may also come under your due consideration – mustard oil, Jojoba oil, lavender and almond oil. Jojoba oils is also a wonderful option as it can replace the sebum in the scalp and so helps to control dandruff, which is also a major reason behind hair fall. Proper hair and scalp massage with the appropriate oil can increase blood flow to the follicles and nourish the scalp. This way, it enhances the strength of your hair’s root. In addition, regular massage can also reduce stress and promote relaxation ultimately reducing hair fall. Massage any of the aforementioned hair oils onto your hair while applying light pressure with your fingertips. And, do this at least once a week. Argan oil is rich in Vitamin E that is extremely important for the healthy growth of hair. In addition, argan oil also prevents your hair from the damage caused by chemical and heat treatment. Rub a few drops of argan oil between your palms and then massage your fingers and palms through damp hair. Aloe vera is a natural product that contains enzymes which can directly promote hair growth. In addition, it has alkalising properties that help to maintain the desirable pH level of hair and scalp – a factor that is extremely crucial in promoting hair growth and recover losses. Its regular use can also relieve scalp itching and reduce redness or inflammation of scalp. It can also add lustre and strength to hair while alleviating dandruff. You can apply aloe vera gel or juice onto the scalp directly. Leave it for a few hours before washing it off with lukewarm water. Repeating the process three to four times a week can bring good results. You can also take one tablespoon of aloe vera juice orally on an empty stomach to promote your hair’s health. Neem is known for its antibacterial, antifungal, antiviral and many other alarmingly beneficial properties. Thus using it on regular basis can keep your hair and scalp free from various kinds of infections. It has both health and beauty benefits. It can also help you get rid of lice and dandruff because neem has astringent properties as well. Boil fresh neem leaves in water until the level of liquid falls half of its original volume. Let it cool and keep it stored for future use. You can use this neem-water to rinse your hair once a week. Amla is known for promoting faster hair growth naturally. It is rich in vitamin C, a crucial nutrient whose deficiency can lead to hair loss. Indian gooseberry is rich in antioxidant, anti-inflammatory, exfoliating and antibacterial properties. All these are highly essential in maintaining healthy hair and scalp. Bring dried amla boil in coconut oil. Keep it boiling until the oil turns black. Let it cool for a while (keep it lukewarm) and massage your scalp. 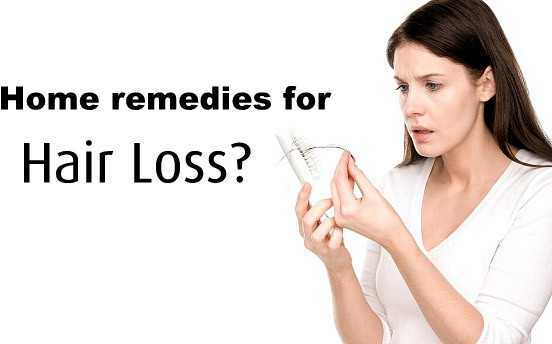 This is one of the easiest and most effective remedy to prevent hair loss. You can use amla and shikakai powder (easily available in any of the ayurvedic stores). Mix them together and make a paste in water. You can apply this paste to your hair and leave for a few minutes. Rinse it well with water. If you have dry hair, then you can skip shikakai or use it in moderation. Mix powdered amla in lime juice and apply the mixture on your scalp. Wash it off after some time. You can soak dried amla in water overnight. Drain the water and use it to rinse off your hair post shampooing. Drinking amla and shikakai juice is also one of the most effective methods to prevent hair-fall. It tastes terrible but it is extremely good for your health and also your hair. Onion juice has high sulphur content and hence it is extremely helpful in preventing hair loss. The juice from onion helps improving blood circulation to the hair follicles and scalp, reduce inflammation and promote hair growth. It also has antibacterial properties that kill infection causing germs and parasites of scalp preventing hair loss. The Journal of Dermatology published a study in 2002 that said that almost 74 percent of study participants who used opinion juice for their hair problem experienced significant re-growth of hair follicles. Grate one onion and strain it to extract the juice. You can apply this juice directly onto the scalp. Leave it for around 30 minutes before washing it off with shampoo and water. Prepare a mixture by combining three tablespoons of onion juice with two tablespoons of aloe vera gel. You can also add one tablespoon of olive oil to this mixture. Apply it on your scalp and leave for around 30 minutes before washing it with a mild shampoo. Following this regime twice or thrice a week can get good results. Rubbing and combing hair arrogantly is not a good practice and aids in hair loss. If want to have longer, healthier and shinier hair, then treat it gently. Avoid excessive heat treatment and stop rinsing your hair with hot water. Lukewarm water works fine during winters. And, treat wet hair gently as hair strands are weaker when wet. In addition to this, keep your diet healthy to flaunt fuller hair.